In order to cater to the variegated demands of our precious clients, we are offering a wide range of Antioxidants C Vitamins And Minerals Capsules. 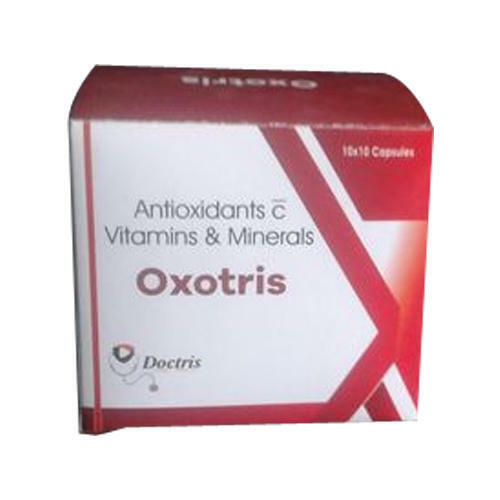 It is also called Oxotris. We “Doctris Life Sciences” are engaged in Manufacturer of an excellent quality range of Pharmaceutical Tablets, Pharmaceutical Capsules, Pharmaceutical Injections, Pharmaceutical Syrups, etc.